7th February 2018, New Delhi: Government’s decision of bringing a basic hygiene product like sanitary napkins under GST has met with sharp criticism. In a country where a large number of women in rural areas don’t even have easy access to sanitary napkins, the decision of keeping it under the 12% slab of GST has not gone down well with the public. 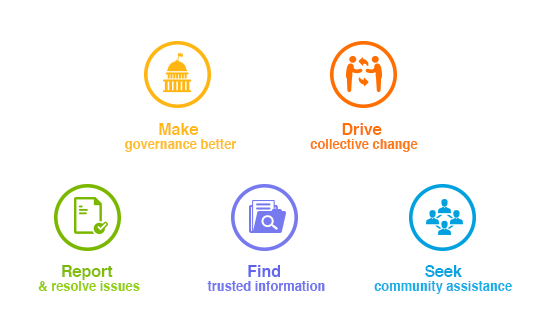 LocalCircles conducted a poll to ascertain what people think about this decision and what should the government do in this regard. 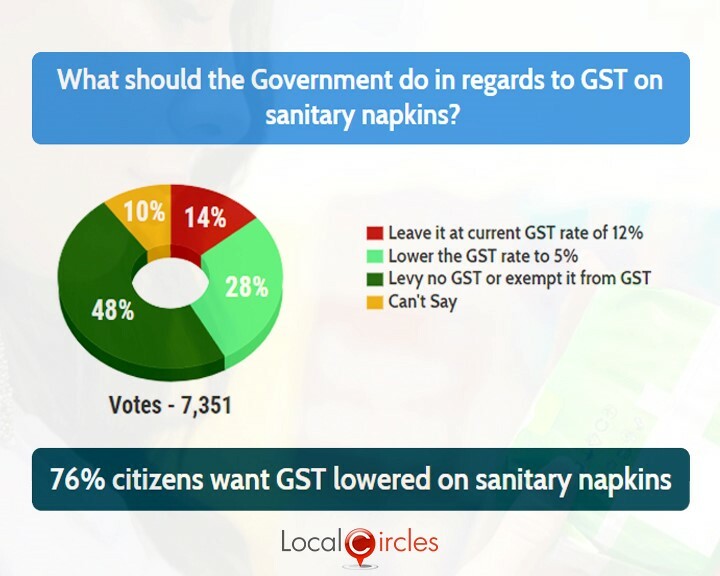 In response, 48% citizens said that sanitary napkins should be exempt from GST and only 14% said that it should be left at the current rate of 12% GST. 28% said the GST rate should be lowered to 5% whereas 10% said they were unsure about what should be done. The poll received more than 7000 responses. Union Finance Minister Sh. Arun Jaitely responded by saying that keeping the Input Tax Credit mechanism in mind, the new tax on sanitary napkins comes out to be lower than the earlier rate. He said that earlier, there were several hidden taxes which led to sanitary pads to have an effective tax rate of 13% over the price. This has now been reduced to 12% by bringing it under the GST. He said the input tax credit will also lead to the base price for the manufacturer to go down by 3-4% and these benefits could even be passed on to the customers. He also said that 12% GST is required to protect the Indian manufacturers from cheap Chinese imports. Citizens are saying that instead of taxing sanitary napkins in India, the import duty on the ones coming in from China should be increased to eradicate unfair competition. According to citizens, government should re-think this decision in the upcoming GST meeting.